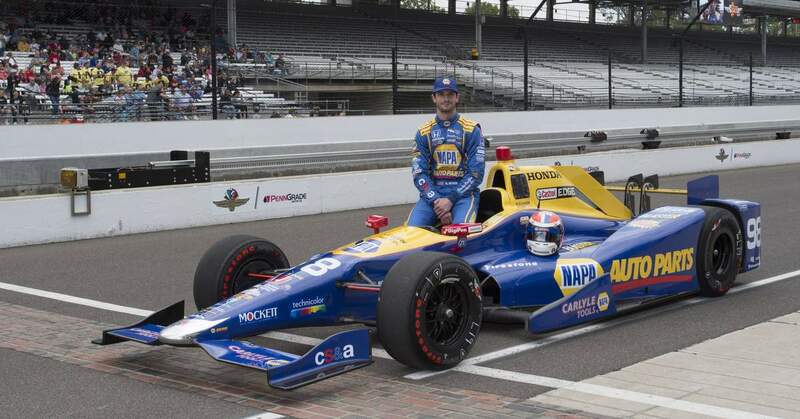 It has been an incredible week of top action and high drama at the Indianapolis Motor Speedway as Alexander Rossi and the Andretti Autosport team prepared and today qualified for the historic 100th Running of the Indianapolis 500. Following a positive week of testing, which saw Alexander topping the time sheets and taking P1 in two out of the seven practice sessions, the IndyCar Series rookie narrowly missed out on securing a place in the Fast Nine Shootout, and was able to qualify in P11 overall, claiming the top rookie position overall, and lining him up on the fourth row of the grid for the highly anticipated and historic forthcoming race. 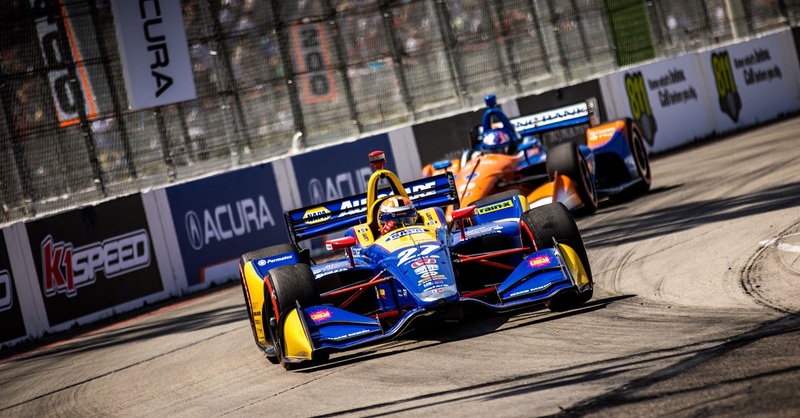 The first part of qualifying took place on Saturday 21st May, as the stage was finally set for qualifications at the 100th Running of the Indianapolis 500. Overnight and morning rain left the Indianapolis Motor Speedway oval saturated, delaying final practice before the start of qualifications until 12:37 p.m. ET. Alexander joined a total of 21 cars of the 33 entered turning laps in the session, with the rookie driver of the No. 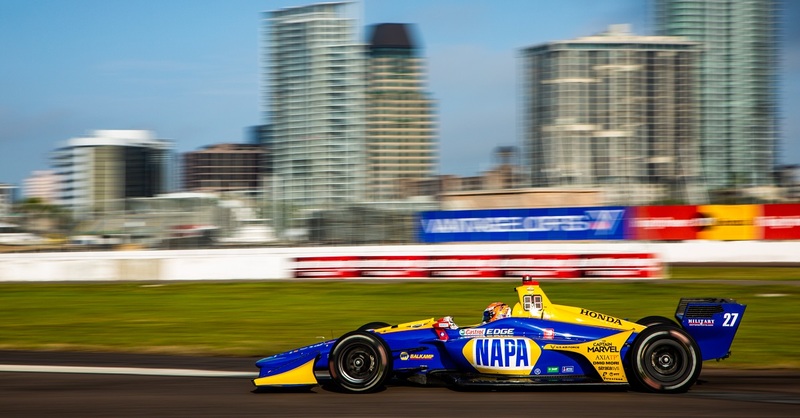 98 NAPA Auto Parts/Curb Honda for Andretti Herta Autosport with Curb-Agajanian finishing P1 again with an impressive 231.249 mph, followed by Andretti Autosport teammate Ryan Hunter-Reay in the No. 28 DHL Honda at 231.107mph. Alexander took his place amongst the world class field of IndyCar drivers, ready to battle it out for a place in the ‘Fast Nine Shootout’. The nine drivers posting the fastest four-lap qualification runs secured their slot in Sunday’s Fast Nine Shootout to determine the starting order of the first three rows for the May 29 race, including the Verizon P1 Award pole winner who received a $100,000 prize. Those qualifying outside the top nine moved into to Group 1 qualifying Sunday, where race starting positions 10-33 were decided. Alexander immediately set another phenomenal pace, and ran inside the top nine for most of Saturday’s qualifying session, however was bumped down to tenth by the day’s final qualifier Mikhail Aleshin of Schmidt Peterson Motorsport, with the Californian having no opportunity to respond and improve on his four-lap average of 230.048mph. This would move Alexander into the Group 1 qualifying, where he would hope to finish as high as possible for the upcoming race. 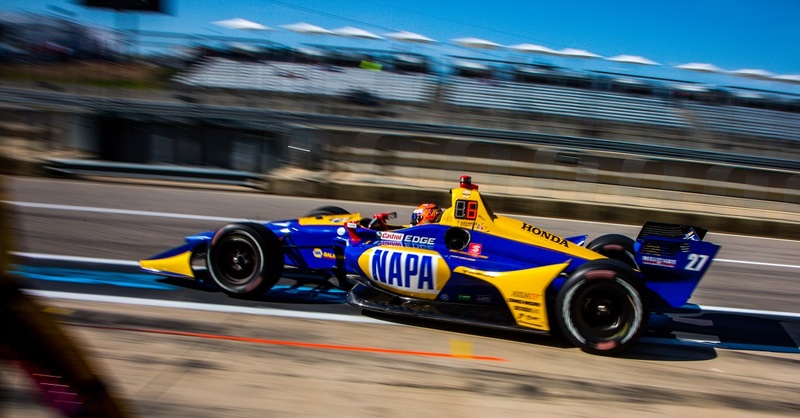 There was one short practice session before this afternoon’s Pole Day qualifying at the 100th Running of the Indianapolis 500, with each of the three practice groups received 30 minutes on track. The fastest overall was Alexander once more who took P1 ahead of his afternoon qualifying session in the No. 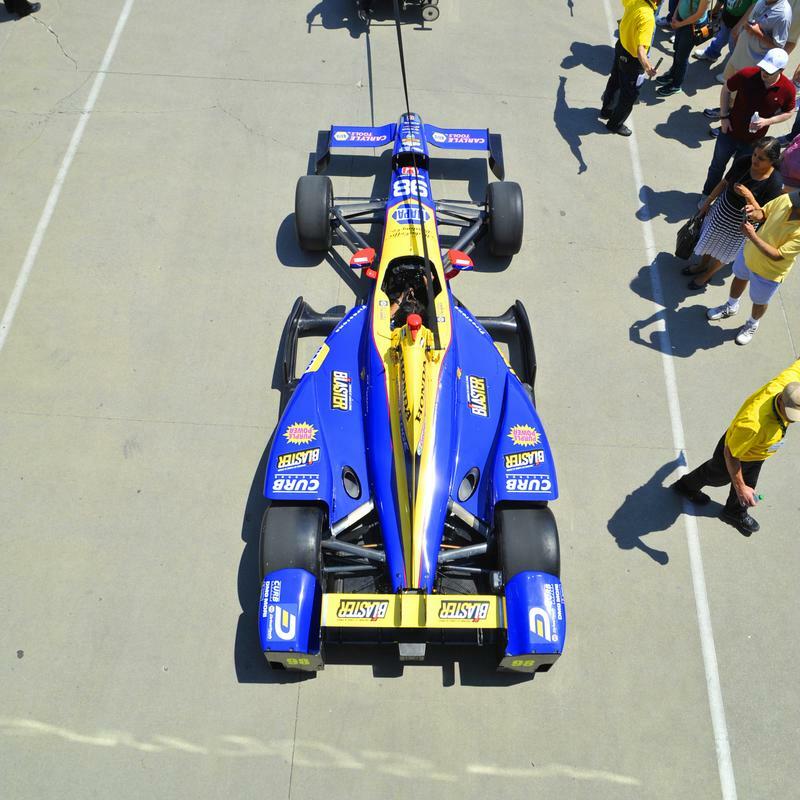 98 NAPA AUTO PARTS/Curb Honda with a lap of 230.064 mph that came without the aid of a tow. 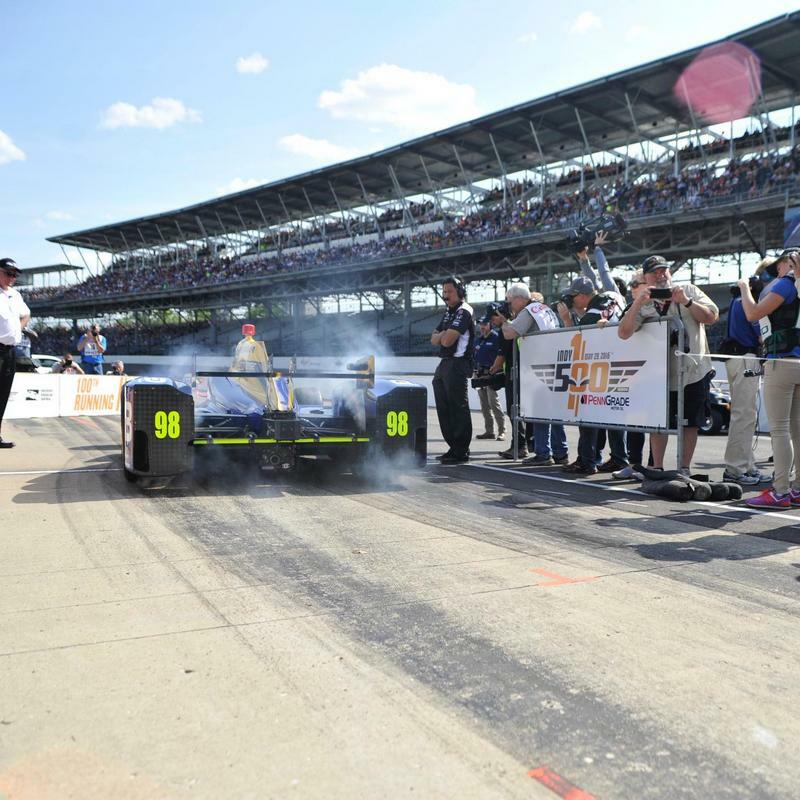 Alexander returned to the Indianapolis Motor Speedway once more for the final qualifying session, and clocked 228.473 mph overall, four tenths of a second away from top position P10, earning him P11 and a place on row four of the grid for next Sunday’s race. Only one practice session remains before the track goes dark for the week. The field will return to the track for one last Carb Day session on May 27. ABC coverage of the 100th Running kicks off at 11 a.m. ET on May 29. 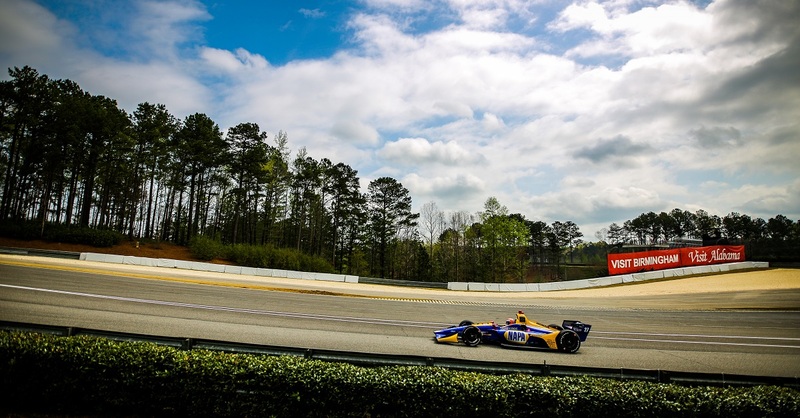 Alexander Rossi: “Overall it’s been a positive week. 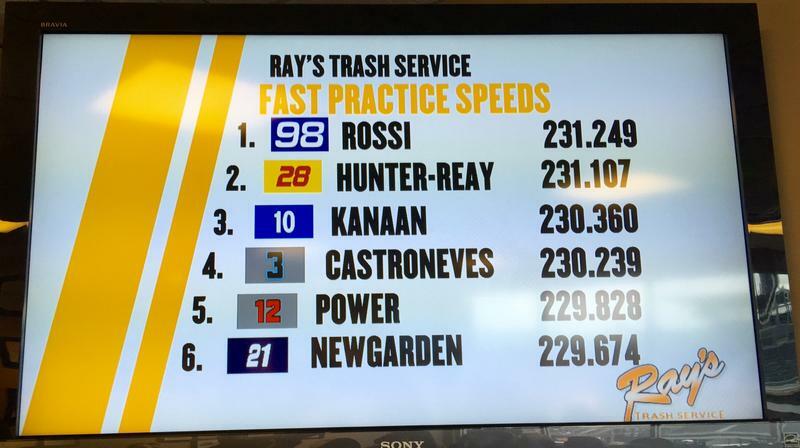 My opening day of practice ahead of the 500 on Tuesday was good, the car felt fast. The morning was definitely eye-opening in terms of not having any kind of prior comparison to a place like this. I was glad we got through ROP without any real issues and during the afternoon we got to work and it was a very good day for the team in general. I think the biggest thing for me initially was the group running and getting comfortable with that. “The next few practice sessions were positive for the team – we were two through six on the no-tow list on day two. It’s always tricky around here to look at the overall lap time with how big of a role a tow plays. We made good progress and I was quite happy with the car during the group runs.